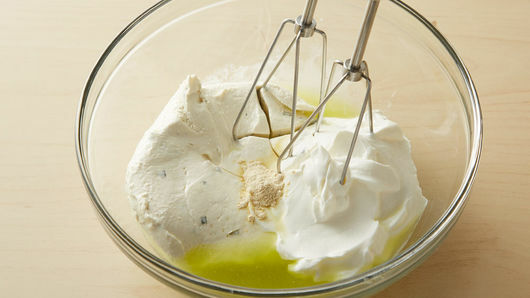 In medium bowl, beat cream cheese spread, sour cream, pickle juice and garlic powder with electric mixer on medium speed until blended and smooth. Stir in pickles and dill. Cover and refrigerate 1 hour before serving. 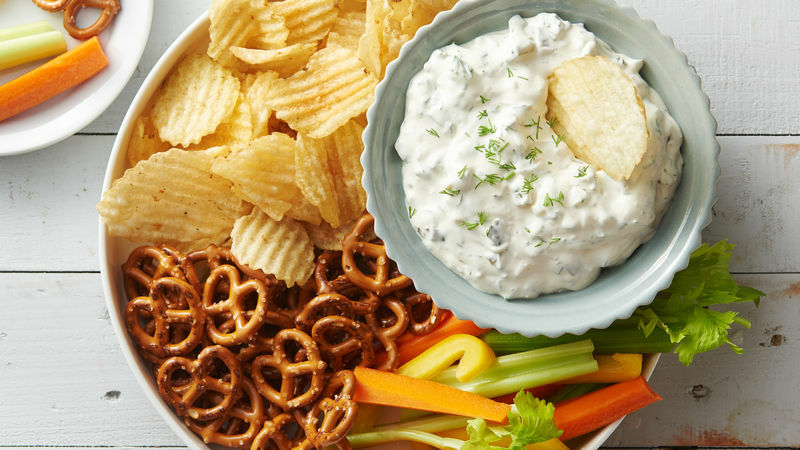 Serve with pretzels or chips. Pickles come in different varieties. 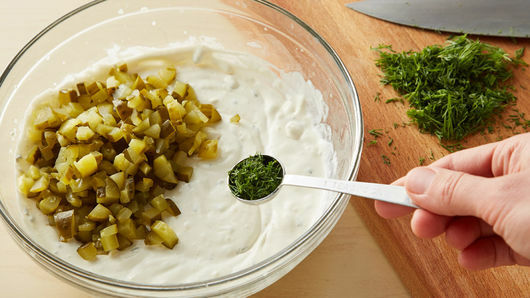 Feel free to use your favorite for this dip.